This month, I’ll be presenting a paper on the JST at a conference. I’m going to outline the use of the JST in Mark and then suggest that the moves that the JST makes could and should be adopted by LDS biblical scholars. One section of the paper argues that the JST–indeed, all revelation–is not inerrant. Joseph’s use (and nonuse) of the JST later in his ministry suggest that he did not take the JST as a perfected form of scripture. A colleague reviewed the paper and then posed a broader question to me (paraphrasing): So if revelation isn’t perfect, then can we claim any absolute truth? Here’s my answer to that (really important) question: absolute truth exists, but you can’t access it perfectly from a prophet because every revelation comes through a prophet who is bound by cultural and intellectual and spiritual and linguistic limitations and will thus be conveyed in a limited sense. In speaking to those who struggle with how to live in a system which places great emphasis on absolute truth but then (at least by my reckoning) claims that we can’t access (or, at least, can’t convey from one person to another) those absolute truths, I’ve found it helpful to think about it as a three-legged stool: personal revelation, scripture, and prophets are the three legs. You need all three–two would not be stable. Not one of the three (or even all three together) will be perfect, but it can be functional–it will allow you to climb up and see things from a higher plane than you would otherwise. It doesn’t need to be perfect to work. Functionality and perfection must not be confused; in a fallen world, we shouldn’t seek or expect perfect revelation. Functional is enough. If one of the three legs is shorter than the others (or if all are of differing lengths, there is a point at which you can’t stand on it. It won’t be stable enough. Perhaps that’s the point. I’ll have to think more, but then my head will hurt. This kind of thing came up in my recent lesson on Acts 21-28. Consider Acts 21:4: “And finding disciples, we tarried there seven days: who said to Paul through the Spirit, that he should not go up to Jerusalem.” In verses 10-12 the prophetic demonstration of Agabus (he binds himself with Paul’s own clothing) that such will befall Paul if he goes to Jerusalem and the prophesying of the four virgin daughters in v. 9 (the content of which is not specified, but presumably was in accord with the message of Agabus) paints a united picture that the Spirit is saying that Paul shouldn’t go to Jerusalem. But this seems to conflict with the implicit message of much of Acts, that the Spirit is indeed driving him to his destiny, which is to preach the Gospel in Rome, and going to Jerusalem is the engine that will make that happen. So we talked about that. And the class kind of came up with this approach to the material: Perhaps the Spirit was conveying that Paul would indeed be arrested, beaten and thrown in prison if he went to Jerusalem. (A conclusion that probably didn’t require a lot of spiritual inspiration to draw under the circumstances.) But the human recipients of this spiritual message then drew their OWN conclusions from that information, to the effect that obviously Paul *shouldn’t* go to Jerusalem. So what they convey to Paul appears to be a mixture of legitimate spiritual prompting processed through their own very mortal thinking. If Paul goes to Jerusalem he will be brutalized (Spirit); ergo, he shouldn’t go to Jerusalem (the natural human extrapolation from that prompting). And Paul rejected that, saying he was prepared to die if necessary to fulfill his mission. So we concluded that what we see here is probably a common phenomenon, where the genuine promptings of the Spirit inevitably get mingled with our human interpretations of those promptings. So to go back to your analogy, simply relying on a spiritual prompt is only one leg of the stool, because such promptings are necessarily processed through our own mortal, human and very fallible brains and thought processes. The only people who have ever cared about absolute truth are theologians who seek premises to arguments whereby they usurp the prerogative of prophets. I like the stool analogy. It reminds me also of a devotional Neil L. Andersen gave in which he said that, “The iron rod … contains three very strong elements that intertwine and sustain one another to form an immovable rod. These three elements include, first, the scriptures … second[,] personal revelation and inspiration … [and third,] … the words of the living prophets” (https://speeches.byu.edu/talks/neil-l-andersen_hold-fast-words-prophets/). I’m never quite sure how people are using absolute truth. I think it’s meaning comes more from what it’s opposed to. Often it seems used to simply oppose the idea that ethical truths are contingent on our society. Other times it’s opposed to various forms of relativism. Sometimes it’s opposed more to unknowable truths or even (following the positivists) meaningless claims. When someone raises it without a context I’m never sure what’s meant. To me truth is what survives all attempts to doubt in the long run regardless of sufficient inquiry. That’s objective enough for me. The problem I have with how some approach scripture is they want a nice short list of proposition giving truth. Scripture rarely does that and when it does, it seems to use terms vague enough as to not do what people want. The JST to me shows that Joseph thought scripture was much more of a dialog. Not just a conversation like inquiring about the scriptures but with God as well. To tie scripture down too much is to limit it and thus cut off this dialog and thereby revelation. In this scheme scripture’s most important role is not to give us propositions as if they were universal equations of the universe. Scripture’s most important role is as a catalyst to revelation. BTW – one of my all time favorite talks along these lines was by Elder Oaks. Isn’t the Book of Mormon crystal clear on the fact that the writers knew they could not perfectly express the sublime truths that were revealed to them? Seems pretty cut and dried. @Clark is on to something–all this absolutism and “knowing” has more to do with what people are reacting against than anything else. I hate to plunk my own single note, but my response to the question would be, “we’re getting there through progressive revelation.” Isn’t that what line-upon-line means? Isn’t it what accommodation entails? As a young man I read Richard Poll’s essay and adopted the three-legged stool. 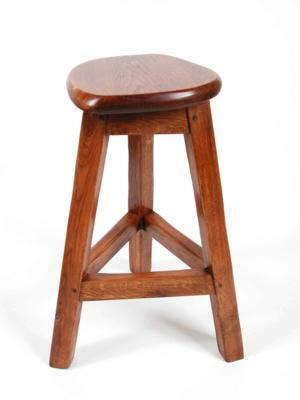 As an old man I’ve realized my stool has four legs, the fourth being physical evidence. Heisenberg helps me understand how the fourth leg needs to be balanced with the other three. Inerrant revelation is a contradiction in terms isn’t it? Isn’t revelation privileged information that God gives directly to select persons? And shouldn’t God’s words be considered inerrant? I think what you mean to say is that some of what Joseph Smith and subsequent LDS church leaders claimed to be revelation wasn’t actually revelation. That it was either a wrong interpretation of what God was communicating to them at best or completely invented in their own imaginations at worst. absolute truth exists, but you can’t access it perfectly from a prophet because every revelation comes through a prophet who is bound by cultural and intellectual and spiritual and linguistic limitations and will thus be conveyed in a limited sense. If this is the case, then what makes the prophets better than any other philosopher or thinker out there? There has to be some way of nailing down what those actual revelations are. By conceding too much that prophets are products of their culture and time and said things that they shouldn’t have, you throw them under the bus. Kevin, I love that. What a great discussion. Ben S., I think I’d want to nuance (although I’m sure you already know this) that sometimes, we take a step backwards, so sometimes how it was done (or what was believed) in the past is a closer approximation of truth than what we have now. No, Brad L., that’s not what I’m suggesting at all. Far from it; you are misreading me in several ways. What of ‘And by the power of the Holy Ghost ye may know the truth of all things’? Is not that implying some sort of absolute discernment? I’m with you though, everyone/thing is a filter. That is why I generally give deference to scripture which quotes Jesus directly. This rings true and I feel it accords with my experience as well, that revelation is a spirit to spirit communication and once received it still must be interpreted and extracted through the brain. Both the extraction and the subsequent communication if shared both give rise to potential convolutions, which is why I believe it is so important that the receiver or the receiving end must also have the spirit with them. The word can be received in the brain, but it is only a seed, a seed that will hopefully strike a chord and open the spirit to communication from spirit for one prepared (my sheep will hear my voice), or inspire enough faith that the hearer experiments upon the word to subsequently qualify for that spiritual communication/revelation for themselves. I would add a fourth leg of experience. Brad, I don’t think revelation is inerrant simply because of the process of getting and interpreting the revelation. I think I understand the point you are making (if God says it then it’s true – how can it not be inerrant) It’s just that typically when God gives revelation the process isn’t that simple. Even the times when it is that simple the interpretation still matters. what are the moves in the JST that could or should be adopted by LDS biblical scholars? also, i think before we can talk about how to access truth, we need to define what “revelation” is. athena, I’ll try to remember to put a link up when my piece is published, which should be next month. well drat, then i’ll make sure to remind you about the link, haha. looking forward to reading your paper!